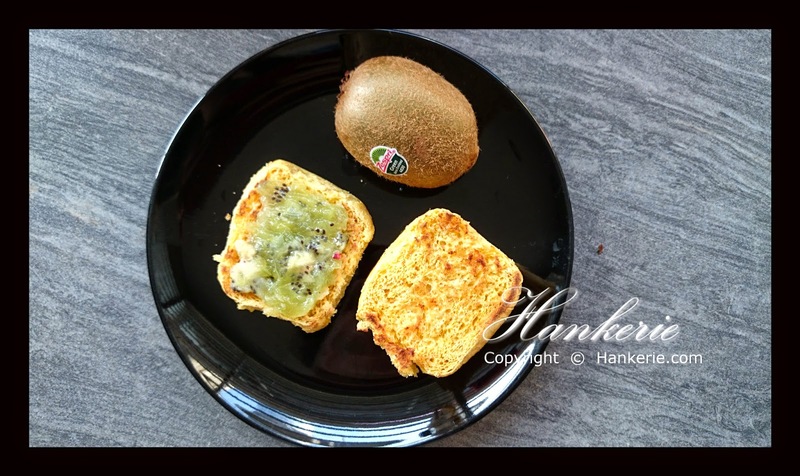 This is my 2nd breakfast recipe of my Day 3 of NZ Zespri kiwi challenge. In fact, I're prepared the kiwi jam the day before and refrigerate it overnight. What it make this jam express in the sense of no cooking is required, you just need to mash the cut kiwifruits, mix with sugar and pectin. You're done. 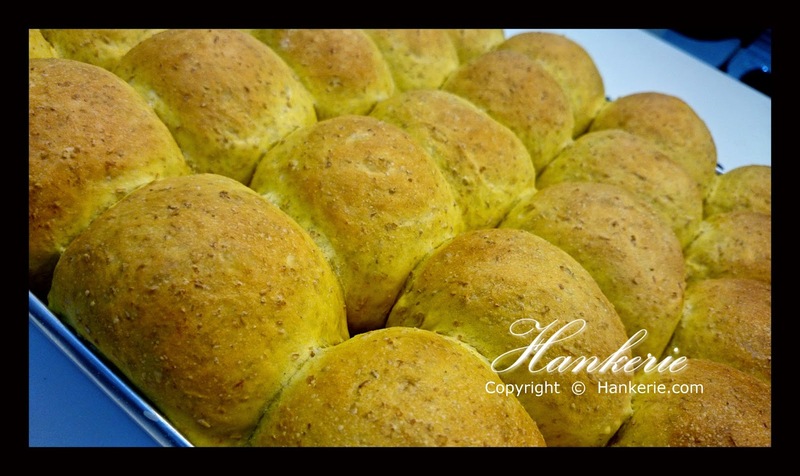 Serve it onto my homemade pumpkin buns for this coming Halloween celebration. Again, homemade jam always the best, free of preservative and colouring too! In a medium bowl, use a potato masher (or a fork/spoon) to mash the kiwifruit. Add the sugar and pectin. Stir (or whisk if it is liquid enough) for 3 minutes. Pour into clean jars, leave 1/2 inch of space at the top. Cover and let sit for 30 minutes then serve, refrigerate it. It can be kept up to 3 weeks or up to 1 year if you put in freezer. 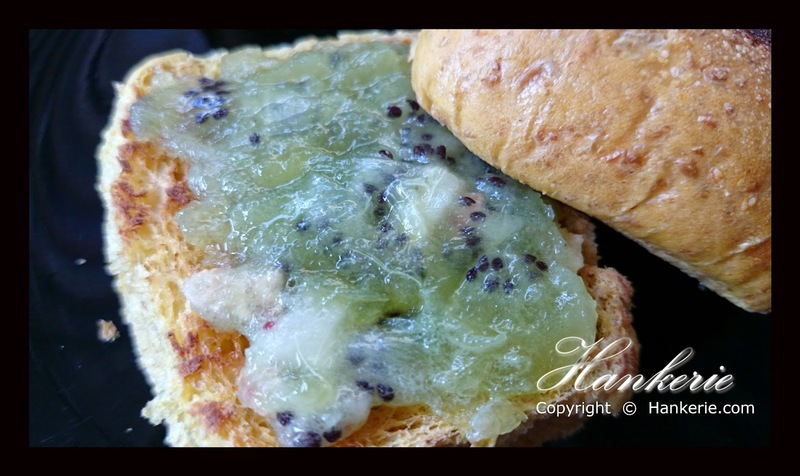 Spread the kiwi jam onto toasted pumpkin buns.